I know I’ve shown you a few variations on this particular style of shoe now, but I can’t help it: a shoe like this deserves to be seen! 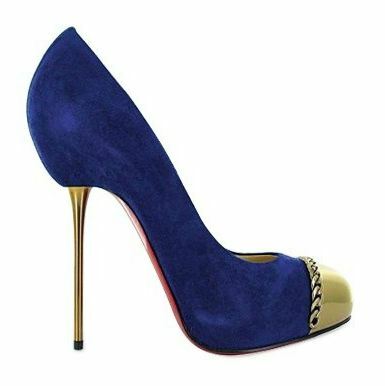 As with almost all of Louboutin’s designs, however, it’s the shape that really makes the shoe. The colours, fabrics and design details are all fabulous, but that curvy shape would probably look good no matter what you covered it in, don’t you think? 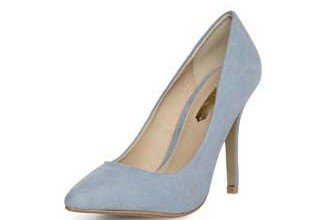 These are $635 at Louise Via Roma: click here to buy them. Wow! They are f-a-n-t-a-s-t-i-c!!!! Really love them! I expected these ones to be much more expensive, but the price tag is quite OK this time! I follow your blog and when I seen these the other day it reminded me of something I seen in a magazine. Not exactly the same but nearly =).